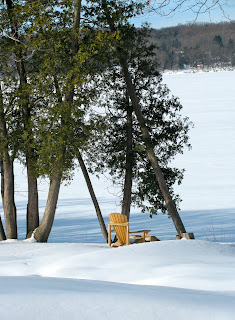 It will be quiet here by the lake for several more days. We are saddened by the death of my favorite Aunt. Even though her health had been failing for the past few years, her passing was still somewhat unexpected. Good morning! As per the usual Sunday morning routine around here, I'm up early, sipping coffee, checking e-mail, and composing a Sunday Salon post. It's been a busy week with very little reading and I only managed to finish one book, Ernest Hemingway: A Writer's Life by Catherine Reef. It provided just the right amount of background and now I'm ready to tackle A Moveable Feast sometime in April. The Ladies' Paradise by Emile Zola is my 'main read', and I'll be returning to it today after several days of neglect. This is my second Zola novel, but I'm sure it won't be my last! Kate Morton's The Forgotten Garden is on my ipod and it's keeping me walking a little longer than normal (even broke into a jog yesterday... not for long though!). The story drew me in right from the beginning, and I'm already looking forward to today's walk. My book group met on Thursday to discuss The Help by Kathryn Stockett - everybody loved it! The discussion was thorough and far-reaching. It was our best turnout in a year. The hosting member recently completed a kitchen remodel and we were all anxious to see the finished product. It was stunning!! We thought T.C. Boyle's The Tortilla Curtain would be an interesting follow-up. I'm already a fan of Boyle's writing and The Tortilla Curtain was one of my favorite books in 2008, so I may read his new book, The Women, instead. On a non book-related topic, some of you know I am dog-lover that has been dog-less for the past several years. Our beloved old Brittany died, then our Bernese Mountain Dog puppy developed some serious health problems. My husband has finally (somewhat reluctantly) agreed to another dog! 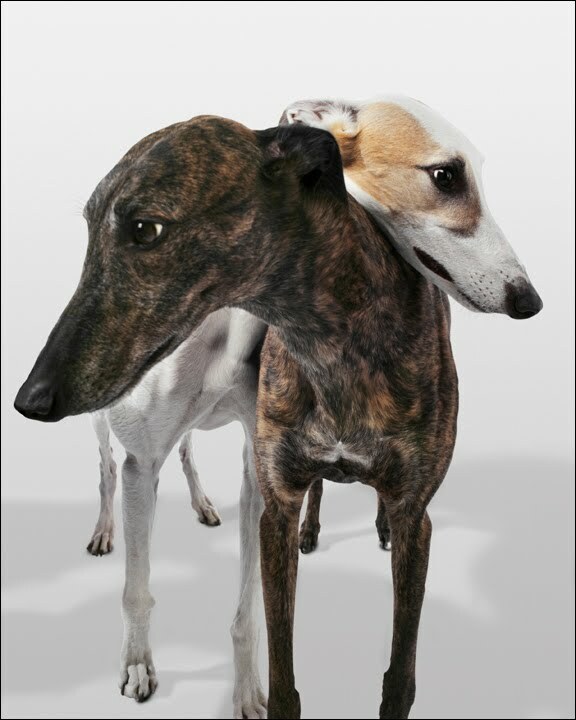 My idea this time is to adopt a retired greyhound. I've done some research, talked to the rescue group, we visited some dogs yesterday, and I'm just about ready to fill out the forms. Do any of you have any experience or advice about greyhounds to share? After my walk and some reading, I'll be making stuffed shells to take to Palm Sunday dinner at my parents. What are you up to today? I have a new hero! Growing up in the 60's and 70's, Julia Child was that lady with the funny voice who cooked on TV. My mother, busy raising six fussy eaters, definitely wasn't cooking from Mastering The Art of French Cooking. By the late 70's and early 80's, my primary association with Julia became Dan Ackroyd's Saturday Night Live sketch. You remember... the one with blood spurting all over the kitchen? Thankfully, my culinary interest and skills evolved since then, but I still had no special interest in Julia Child. The movie Julie & Julia changed that! The book left me with a new, somewhat unexpected, appreciation of Julia Child. I admire her determination and drive in identifying her dream and chasing it. I admire the painstaking experimentation, testing, and attention to detail behind each and every recipe in her cookbook. Through that laborious process, she was able to produce the authoritative source on French cooking for Americans. Finally, I admire Julia's outlook on life. "In Paris in the 1950's, I had the supreme good fortune to study with a remarkably able group of chefs. From them I learned why good French food is an art, and why it makes such sublime eating: nothing is too much trouble if it turns out the way it should. If one doesn't use the freshest ingredients or read the whole recipe before starting, and if one rushes through the cooking, the result will be an inferior taste and texture - a gummy beef Wellington, say. But a careful approach will result in a magnificent burst of flavor, a thoroughly satisfying meal, perhaps even a life-changing experience." Although the audio is well done, I often wanted to see the names of places, foods, or people in print. (I don't speak French.) In addition, all the wonderful photos are, obviously, missing from the audio. If you have any interest at all in cooking, eating, France, or Julia Child, you must read this book! FTC disclosure: I purchased the audio download from audible, and borrowed the book from my library. 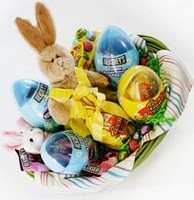 Easter is still two weeks away, but this lovely basket from Hershey's Better Basket Blog Hop for Children's Miracle Network was given to me by Laurel Rain-Snow at Rainy Days and Mondays. Are you familiar with Children's Miracle Network? It's a non-profit organization whose mission is to generate funds and awareness programs in partnership with and for the benefit of member hospitals/foundations and the children they are privileged to serve. I've spent years working in teaching hospitals and have seen first-hand the benefits of CMN. As a result, I contribute to the organization and have volunteered during their annual telethon. So, how can a virtual basket help CMN? Hershey’s is donating $10 per each blog participating in the Better Basket Blog Hop for Children’s Miracle Network up to total of $5,000. Will you accept this basket? Rather than naming specific bloggers, my goal to make you all aware of Hershey's program, and my hope is that you'll pass it on... for the kids. The Ladies' Paradise chronicles the development of the modern department store in late 19th century Paris. If the first chapters are any indication, I'm going to love this! 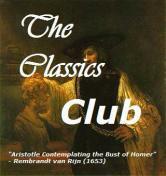 Emile Zola will be touring with The Classics Circuit next month. The March celebration of Irish authors continues. This week's story is from The Penguin Book of Irish Fiction, edited by Colm Toibin. I decided to read an unfamiliar author and selected "Slade" by Frank Ronan. Frank Ronan was born in New Ross, Co Wexford in 1963. His first novel, The Man Who Loved Evelyn Cotton (London, Bloomsbury, 1989), received the Irish Times/Aer Lingus Irish Literature Prize. His subsequent novels include A Picnic in Eden (Bloomsbury, 1991); The Better Angel (Bloomsbury, 1992); Lovely (London, Sceptre, 1995); and Home (Sceptre, 2002). His stories are collected as Dixie Chicken (London, Hodder & Stoughton, 1994). He has lived in France and England. "We had lived on peaches alone in Monte Carlo, and slept on half the beaches in the northern half of the Mediterranean; had outstayed our welcome in the houses of Italians and watched a naked, muscular Dutchman, with dreadlocks halfway down his glistening black back, play Macbeth in a scaffolding castle on the polder. We played it gay and straight, depending on whom we didn't want to sleep with, for Emma was saving herself for a romantically thin man at Manchester University, and I was just saving myself." The narrator then finds himself alone and hitch-hiking to Germany to be with his friend Donald, who is working at a gherkin pickling factory (and living in its dormitory) for the summer. The workers posses an intense hatred of the owner, Frau Jater, who prizes the cherry tree in her yard above all else. They are plotting to" kill or maim" the tree. "Since Donald was the only reason I had come to that place, I'd watch him to see if he was more in favour of the tree or against the Jaters, but he had other problems that summer and was more disconnected than his usual, ethereal self. Because there wasn't a spare bed, and because I wasn't supposed to be there at all, I slept in the same bed as him, which was how I would have slept for preference in any case. We assumed that it was assumed that we were lovers. And that was fine, because it was part of the elaborate double bluff we played on ourselves..."
As the story continues, there is growing unrest and a strike by the workers, and drama involving Donald and the narrator climaxing with the narrator offering the means to kill the cherry tree. Overall, I was disappointed. There are surely associations and meanings that were lost on me. If you're familiar with this author or story, please clue me in.... I'm afraid I missed the point. TSS: March Madness - it's finally spring! Welcome spring. The ice on the lake is getting thin, the snowbanks have disappeared, and March Madness, full of drama, excitement and upsets (did you see Kansas lose?) is in full swing. I love this time of year! 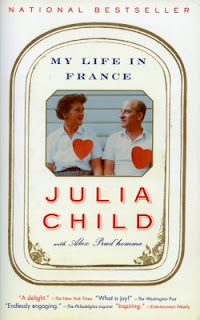 My Life in France by Julia Child was the only book completed this week, but what a wonderful book. Look for a review at the end of the week. Ernest Hemingway: A Writer's Life by Catherine Reef - a biography aimed at middle to high schoolers, but providing an interesting intro to Hemingway's life... and full of photos. I plan to read A Moveable Feast next month. Now, I'm off to catch up on some blogs before tuning in for more March Madness. 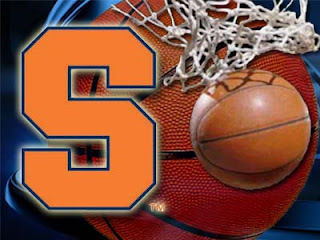 Syracuse plays at noon... there probably won't be much reading for me today. Is your team still in? Are you reading or following the "Madness" today? Expectations are hard to live up to.... the new book that is over-hyped, the party you've been planning for six months, the prom. You understand where I'm going with this. Richard Russo was in town Tuesday night for the Rosamond Gifford Lecture Series. I'd been anticipating this one since September. Richard Russo was the name that tipped the scales toward becoming season ticket holders - no more single lectures for us! My book club took the plunge, subscribed to the series, and at long last, the evening arrived. 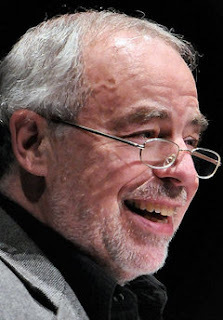 The Sunday paper forewarned us that Russo would deliver one of his prepared talks on humor. That sounded good to me. Russo has written some very funny stuff! He has the ability to blend the tragic and comic to produce characters and scenes that will live in my mind for years. The talk was titled "The Gravestone and The Commode". The gravestone, engraved Nimon, born in Syria 1899, leaned against an apple tree in the backyard of his old Maine home. The commode was temporarily placed on the nearby deck during a bathroom renovation. Russo never really "saw" the gravestone until it was humorously paired in his mind with the commode. He wondered why the stone didn’t mention where Nimon died. He could picture the stone master yelling at his apprentice. “Simon with an S! Who’s named Nimon?” He wondered why the stone didn’t mark a grave. “How many reasons could there be for not using a gravestone?” Russo asked. “It turned out to only be a head cold?” When we see something unusual, we assign an explanation to make it seem plausible. Russo believes it's nearly impossible to grow up in this world without a sense of humor, yet humor cannot be taught. It's all in the way you look at something. He spoke of striving to see the world with the wonder of a child's eye. He believes that in order to be a writer, it is necessary to grow up with at least one voracious reader in the family - for him it was his mother. He told us several other funny stories, including an instance where his own humor ran unbridled at a dinner party (this seemed to particularly delight the crowd) and how humor lightened the mood at his father's wake. What I had not anticipated was that the entire talk would be read, word for word, with frequent correction of phrases not in the script. I supposed the disappointment to be solely my own, but later learned several others had felt it, too. Merwin, a poet and translator, is a two-time Pulitzer Prize winner and has won the National Book Award. The author won the Pulitzer Prize for her novel “Olive Kitteridge.” She is a Syracuse University alumna. TV host and author Steves has written more than 30 books about European travel. With more than 90 million copies in print, best-selling author Baldacci is the author of 18 novels, nine screenplays and a novella and is an advocate for literacy programs nationwide. It looks like a good line-up to me! I'm especially excited about Michael Pollan and Elizabeth Strout, and will be seeking recommendations for the others. This is the series I've been attending with my book club and writing about here. My friends are only lukewarm on the new schedule - I hope they'll want to resubscribe. My report on Richard Russo's talk will be coming later this week. "Inside suburban mom beats urban heart." "Secret of life: marry an Italian." "Now I blog and drink wine." How would your six-word memoir read? Teaser Tuesdays is sponsored by MizB at Should Be Reading. It's an Irish author celebration for Short Story Mondays all month long! My task of collecting stories became much easier when I discovered The Penguin Book of Irish Fiction, edited by Colm Toibin, on my library's website. It was ordered through inter-library loan and arrived late last week. This 1000+ page book weighs in at several pounds and contains novel excerpts and short stories written by Irish authors from Jonathan Swift (1667-1745) and Laurence Sterne (1713-1768) all the way up to Colum McCann and Emma Donoghue. An introduction by Toibin is also included. While catching up on blog reading over the weekend, I was intrigued by this review of Yesterday's Weather: Stories by Anne Enright found at Books in the City. I've been meaning to read Enright, and quickly chose her story as a starting point in the massive collection! "Cathy was often wrong, she found it more interesting. She was wrong about the taste of bananas. She was wrong about the future of the bob. She was wrong about where her life ended up. She loved corners, surprise, changes of light." Cathy leads a rather conventional life, married to a 'safe' man, working behind a handbag counter in Dublin. "Quietly, one customer after another was guided to the inevitable and surprising choice of a bag that was not 'them' but one step beyond who they thought they might be. Cathy knew what handbags were for. She herself carried everything (which wasn't much) in one pocket, or the other." One day Cathy unexpectedly fall in love with a female customer. She is confused, and her life begins to come apart as she yearns for feelings (and things) she's never owned. At the conclusion of this slightly sad story, Cathy possibly suffers a breakdown, taking out her pain on a brown leather handbag. I could not find a link to this story (it is included in Yesterday's Weather), but did learn that it has been made into a short film. Anne Enright was born in 1962 and is most well-known for her novel The Gathering, winner of the 2007 Man Booker Prize. 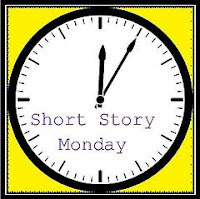 Short Story Monday is hosted by John Mutford at The Book Mine Set. 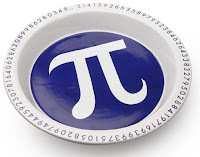 The Sunday Salon: Happy Pi Day! It's Pi Day! You'll remember from math class that the Greek letter Pi is the symbol for the ratio of the circumference of a circle to its diameter. 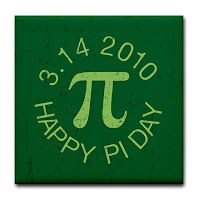 Pi Day is celebrated by math enthusiasts around the world on March 14th. Pi = 3.1415926535… Although I wouldn't exactly classify myself as a math enthusiast, I will be serving a special pi(e) at dinner. Are you marking the day? I'm happy to report that winter, at long last, finally seems to be winding down. Although the lake is still frozen, snow is slowly melting and I even heard birds singing one morning. 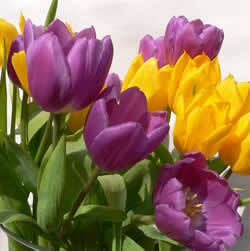 Daylight savings time is another sure sign spring is coming. Did you remember to turn your clocks ahead last night? It's also been a good reading week. My Short Story Monday posts highlight Irish authors this month. Mothers and Sons: Stories by Colm Toibin was featured last week. Tomorrow I'll turn to The Penguin Book of Irish Fiction. It's a doorstopper of a book - over 1000 pages of short stories and novel excerpts from Irish authors. I also finally posted a long-overdue report on my book club's discussion of Sarah's Key. I finished South of Broad by Pat Conroy, to be reviewed next month for a TLC book tour. My audiobook is still My Life in France by Julia Child. Less time in the car the past couple of weeks has, unfortunately, meant little progress on the audiobook front. The Big Event coming up this week is the continuation of the Rosamond Gifford Lecture Series. Richard Russo will be in town Tuesday night, and I'll be attending along with seven other women from my book club. This lecture is the highlight of the season for me - Russo has long been a favorite! Sara Gruen and Jeffrey Toobin, the two remaining speakers, are scheduled for April and May. After the lecture, next season's line-up will be announced... a little earlier than usual. Maybe so groups can begin to plan their reading. I'm sure we'll subscribe again! Other than the Pi Day Dinner, today will be quiet and low-key. I'll be reading from The Penguin Book of Irish Fiction and contemplating my next book. What are you reading? What better way to celebrate Pi Day than with pie? My parents will be coming to dinner, so this morning I'm planning dessert. Mom loves apple, while Dad prefers pumpkin. 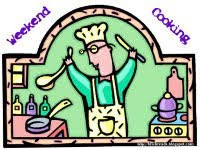 But I'm in the mood to try a new recipe... so it's off to peruse the cookbooks. Just wish I'd planned ahead and ordered the stoneware Pi Dish you see pictured here. It's available from the Wireless Catalog for $24.95. Next year, for sure. Spring is finally arriving in the northeast. Winter staged its last (we hope) hurrah on Book Club Day two weeks ago. Nearly 30 inches of snow fell over a two-day period, but we're a hearty group and met, as scheduled, for our discussion of Sarah's Key by Tatiana De Rosnay. Eight of us gathered for coffee, cake, and conversation... and all eight of us had read the book. That's always a good sign! "Did you like the book?" is the usual first question. The answer that morning was a resounding "Yes". However, several members (myself included) followed with a quick "but". Sarah's Key alternates between the present-day story of Julia Jarmand, a 45-year-old American magazine writer living in France for 20 years and married to an arrogant Parisian, and a fictionalized account of the 1942 Paris roundup of thousands of Jewish families who were held at the Vélodrome d'Hiver, then transported to Auschwitz. The book, especially the historical story, pulls the reader in and doesn't let you go until the final page is turned. Our discussion initially focused on the facts of the Vel d'Hiv round-up. We thought we were aware of the horrors associated with the Holocaust, but none of us knew much about this. Next came a lengthy discussion about children and WWII in literature. I'll be reading The Boy in the Striped Pajamas in the near future (or at least watching the movie) and am researching titles about children sent away from London during the war. Then we moved back to the book itself. While everyone liked it, several of us felt that the contemporary story wasn't nearly as compelling as Sarah's and, at times, even detracted from it. I grew impatient with Julia and was reminded of the whiny voice in Eat, Pray, Love. However, we all agreed that the book would have been too harrowing if it told only Sarah's story. Julia gave us an opportunity to catch our breath before returning to the horrors Sarah faced. Sarah's story moved me almost as much as my visit to the Holocaust Museum in Washington DC. We spent some time discussing the moral dilemma presented and wondered how we might have reacted. Would we have turned a blind eye as most Parisians did? Would we have tried to help? What about harboring those who escaped or evaded the roundup? This lead to a discussion on the insidious nature of prejudice. 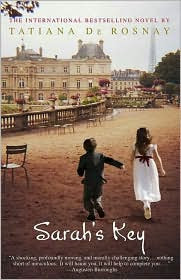 We chose The Help by Kathryn Stockett for out next selection. 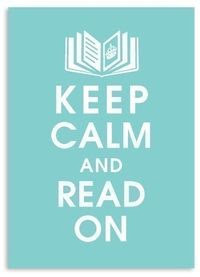 I've read (listened to) it already, so am looking forward to reading a book or two from my tbr shelves instead. The meeting ended a little before noon. We brushed the snow off our cars (several inches had fallen during the meeting), and headed home to watch the rest of the storm unfold. Some of us will meet again Tuesday evening as the Rosamund Gifford Lecture Series continues. Richard Russo is speaking and the 2010-2011 line-up will be announced afterwards. I can't wait! This is my audiobook for the car, but I ended up getting a copy from the library, too. It was difficult to understand the reader's French (my fault) and seeing the names of foods and places has helped. Warning: DO NOT read/listen to this book if you are hungry! March is a time to celebrate all things Irish. Lakeside Musing will feature an Irish author for Short Story Monday each week this month. 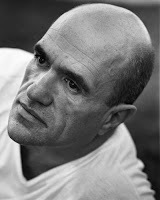 Colm Toibin, one of my newest author discoveries, will kick things off with a story from his 2007 collection Mothers and Sons. "As she came down the stairs, Nancy glanced at the photograph; she wondered when it would be right to take it down." A single sentence raises many questions and, within a page or two, we learn that Nancy is newly-widowed, in debt, raising three children, and running a failing family grocery business. The photograph shows George, her late husband, as a teen posing with his mother. 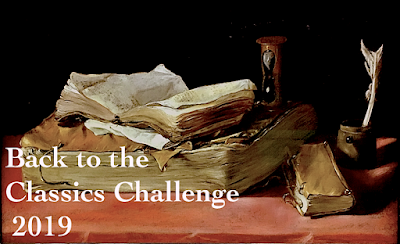 My intent was to choose one of the shorter stories for this post but, by the time I realized "The Name of the Game" was over sixty pages, I was hooked and just had to continue. As Nancy attempts to provide for her children, she is faced with foreclosure, but manages, through some slightly shadowy methods, to put aside enough cash to open a chip shop next to the grocery. Despite several obstacles and with the help of her 16 year old son, Gerard, the business thrives. The relationship between mother and son comes into sharper focus at this point. Nancy has high hopes for her son, which includes university study. Gerard, with an obvious talent for numbers, begins to neglect schoolwork and friends as he focuses on the family business. He assumes it is being built so he may eventually take over - just as his father inherited the grocery from his grandmother. Nancy, however, views the chip shop solely as a means to pay off the inherited debt. Her intention is to sell, as soon as possible, and move the family to Dublin, where they might have a new beginning. Nancy's sheer determination and the unfolding relationship with her son kept me glued to the story. Of course, the matter is far from resolved by the end, and I find myself still thinking about these characters today. I'm looking forward to making my way through the rest of this collection. Twin A has been proficient in the kitchen from a very early age. Recently, however, she has embraced baking as a sort of therapy... and there seems to be a direct relationship between the labor-intensiveness of the project and the benefit realized. I've long been aware of the calming influence of baking, the stress-relieving properties of kneading dough, and the sheer 'fun' of pounding chicken breasts with a meat mallet. It's a pleasure to watch my daughter make these discoveries on her own. High school juniors face many challenges - standardized tests, AP exams, the college search process... and that's without mentioning social issues/peer pressures too numerous to list! With all the dangerous stress-relievers out there, I consider myself fortunate beyond words that Twin A has chosen baking as an outlet. Her most recent session was devoted to truffle-making. The painstaking process of hand-rolling oreo centers, dipping them in melted Ghirardelli milk chocolate, and decorating with a drizzle of melted white chocolate yielded some gorgeous truffles! They will be attractively packaged and delivered for her BFF's birthday. We happily consumed the 'messy' ones. 2. Roll into small balls and place on wax-paper lined cookie sheet. Refrigerate for 45 minutes. 3. Line two cookie sheets with wax-paper. Melt milk chocolate in a double boiler. Dip balls and coat thoroughly. With slotted spoon, lift balls out of chocolate and let excess chocolate drip off. Place on cookie sheet. 4. In separate double boiler, melt white chocolate. Using a fork, drizzle white chocolate over balls. Let cool. 5. Store in airtight container, in refrigerator. Twin A got this recipe from a friend. She melted the chocolate in the microwave, instead of using a double boiler. She chose to decorate some with chopped walnuts. And, as always true with baking, high quality ingredients yield a high quality product. We learned from experience to use Ghirardelli chocolate in this recipe. These are delicious!! ... and reading in my favorite chair. At least the sun is shining today. Note to self... reviews must be written in a more timely manner. A few weeks have passed since I read Marcelo in the Real World by Francisco X. Stork and, although the particulars have faded, I liked the book a lot and thought I'd try a mini-review. Marcelo Sandoval is a 17-year-old boy with an Asperger's-like condition. He attends a special high school but, at his father's request, will spend the summer working in the "real world" - the mailroom of his father's law firm, in this case. Afterwards, Marcelo may choose whether to return to special ed or be mainstreamed for his senior year. Highly intelligent Marcelo must learn to navigate a world filled with of nonverbal cues, sarcasm, and emotion. This is the second Young Adult novel I've read in as many years, and I loved it! It reminded me of The Curious Incident of the Dog in the Night Time by Mark Haddon, another book my daughters and I all raved about. I'm curious though, why Marcelo is classified as YA and Curious Incident is not. Both are quite appropriate for high school students. Any thoughts? The top spot is Orange! Anthropology by Dan Rhodes is like nothing I've ever read. It's a collection of 101 stories, each only 101 words long. Intrigued? I sure was when I read about it at Savidge Reads last week. The intrigue turned to surprise when I found a copy at the library. After reading the collection, it became admiration. All 101 stories are about love. They are arranged alphabetically by one word title, from "Anthropology" to "Word". It is amazing how, using just a few words, the gist of a relationship is conveyed. The stories are happy, sad, absurd, witty, and a couple could even be considered mildly offensive. Since they're short, I'll share two. My girlfriend died. I was heartbroken, and vowed to remain faithful to her memory. At first I had no difficulty; my distress was so great that I couldn't even contemplate kissing anyone else. But, after a while, another girl started showing an interest. I resisted her advances. "You're very pretty," I told her, "but it's just too soon. I'm sorry." She wouldn't give up. She kept touching me, and fluttering her mascara-coated eyelashes. Eventually I yielded, and fell into her arms. The man asked us to leave. He said our rustling, slurping and giggling was upsetting the other mourners. January said it was important for couples to be completely honest with each other, and I agreed. I told her very honestly just how much time I spent thinking about her, that whenever I pictured the future she was always there by my side, and how even after three years together I sometimes couldn't help feeling a little nervous when she was around. She told me to stop. "That wasn't what I meant," she said. "I meant I just don' love you anymore." She looked away. "And the more I think about it, the more I realize I never really did." So what do you think? Have you read anything like this? John introduced me to "flash fiction" a couple of weeks ago. The term was new to me, but I think these stories may even be too short to qualify. Don't forget to check out Simon's review. (His edition has a much better cover.) This is one short story collection that should be read from cover to cover in a single sitting!